I set the alarm for 5am today and drug my weary bones from the warm covers to join the teeming horde. Well, I thought there would be a ton of people out. I was out of the house by 5:15 and out to one of the home improvement stores by 5:30. There were people out but not bad at all. It seemed like the people were centered around a few stores. Luckily, my stores were not involved. So, anyhow, Black Friday and shopping in general are not usually high on my list but I decided to participate this year to get…a new trailer! Tractor Supply had an ad for $200 off of a 5×8 trailer so I figured I would try at the local big home improvement stores before I made the trip out to Tractor Supply, 40 minutes away. So, the big local stores had nothing comparable, so I hit the road and got to Tractor Supply by 6:15. They opened at 6 supposedly but the lines were already to the back of the stores when I got there. Anyhow, I waited in line for 30 minutes and walked out with my new trailer and a 25 million candle power light. Yeah, the light was an impulse buy but for $20 I couldn’t pass it up. 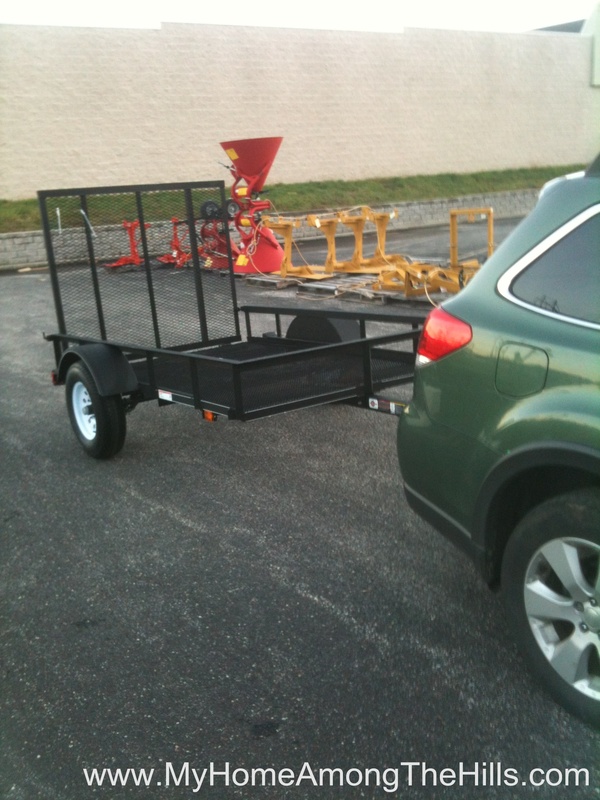 I hauled trailer back to Charleston so we could go back to the lumber yard to get wood for the deluxe shed. 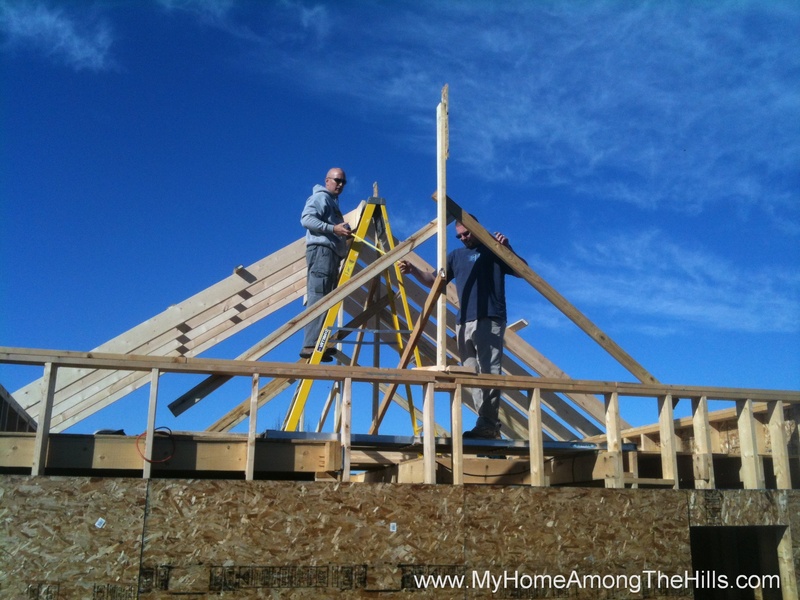 We made it up to the place around 10 and hung the second ridge board and started on the remaining rafters. My buddy came to help and we made great progress again. 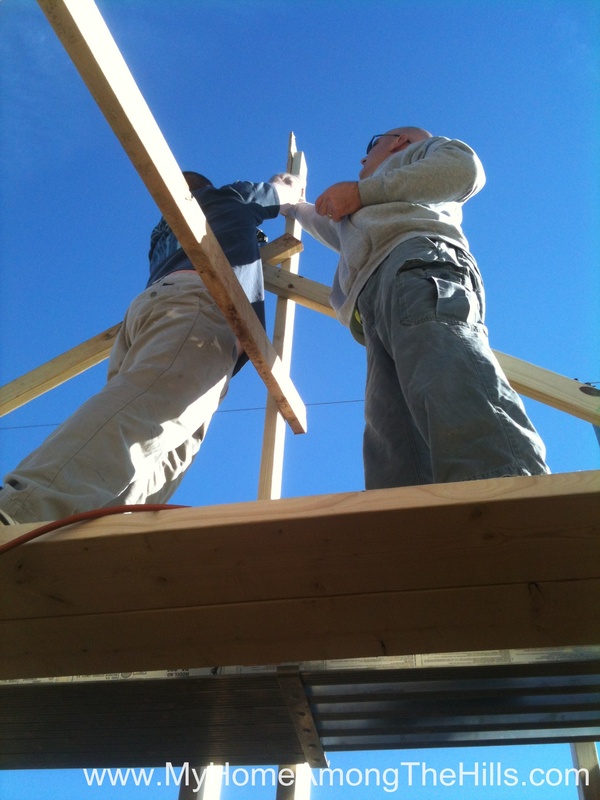 We should finish the rafters tomorrow and hopefully hang some/all of the sheathing. 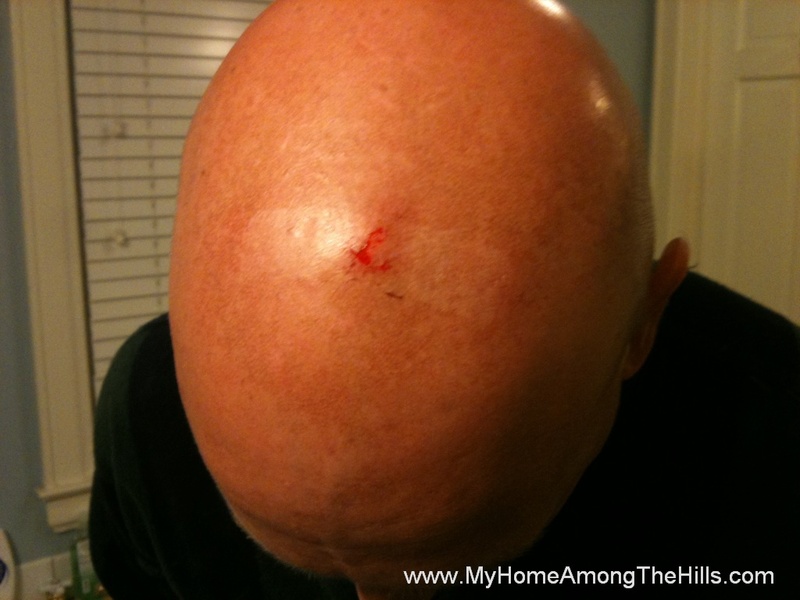 The only other thing I got on Black Friday was a nasty scrape on my head. 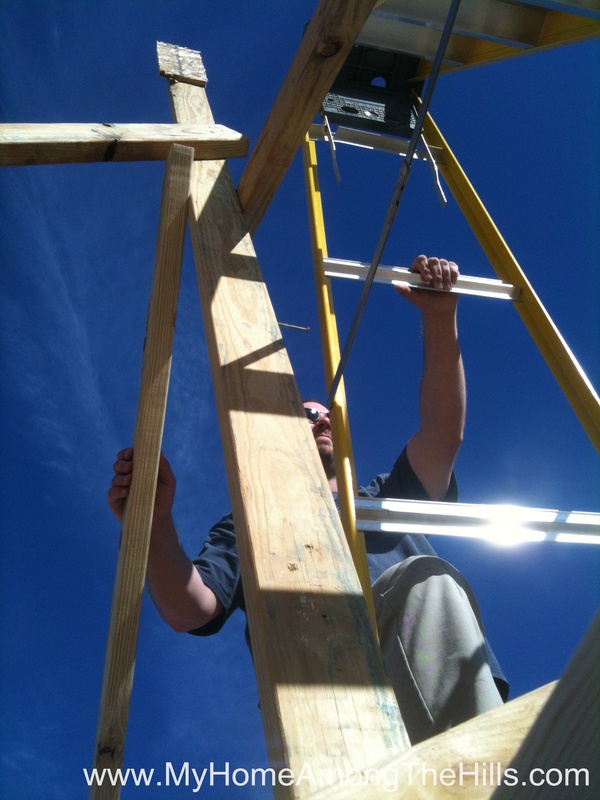 I tested and sure enough, my head is weaker than the wooden rafters. My scrape happened early so the band-aid also left a cool little tanline too! So, my first (and likely last) Black Friday was a huge success. We’ll head back to the place tomorrow and try to get the place under roof before we get snowed under! Wish me luck! That is one nasty looking bump on your head Warren! You couldn’t pay me to go shopping on Black Friday! Glad you fared well though. 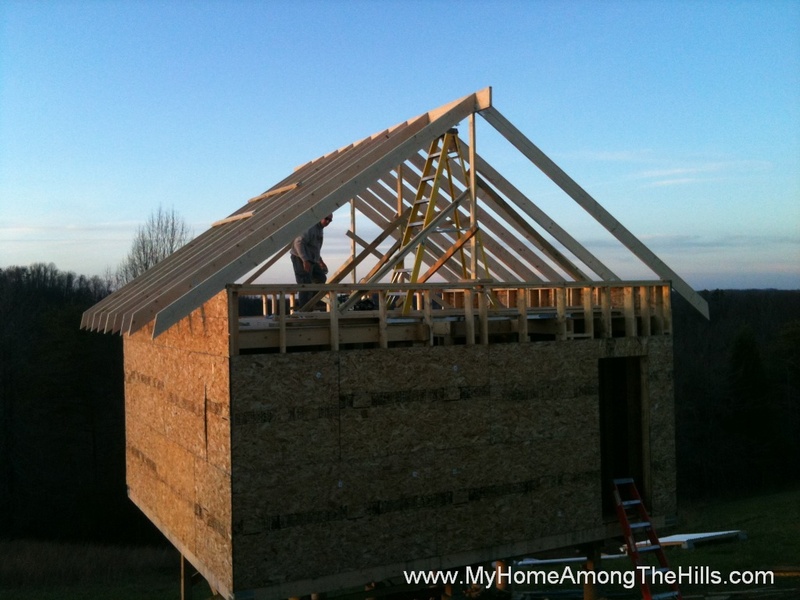 Hope you can get the roof on before the snow! Who was the friend that helped? I didn’t know you had any? LOL Progress on the shed looks promising. What is with the captcha, were you getting spam? Hey nice sun tattoo too bad about the red spot in it though. Your getting that up in no time and the trailer should help greatly. Hope the roof goes on smoothly. Best of Luck to ya. Looking really good. Hope the weather holds our for you. I don’t do Black Friday. No way no how. Nice score on the trailer though! Ouch for the head-but I do like the tan lines : ) I so hope you get it covered before the snow comes!! !